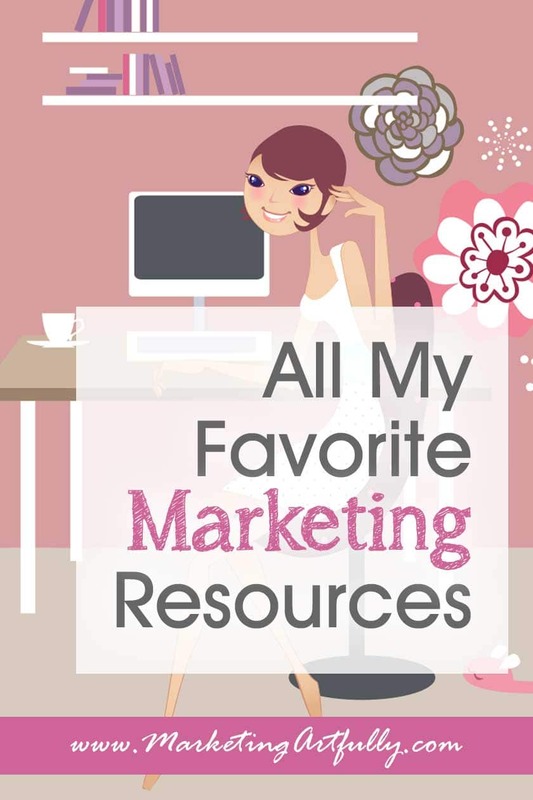 All My Favorite Marketing Resources! 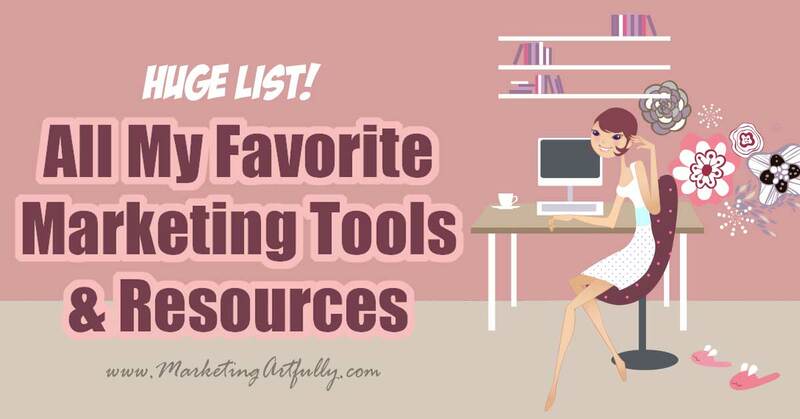 For years I had a “normal” resources page that was a just a list of things that I recommend, but as I was doing dishes one morning I had a total “ah ha” moment! Why not actually tell you what each thing is for depending on what you are trying to do!?! Some mornings, even before coffee, I am BRILLIANT! Affiliate Disclosure: Please note that I do receive compensation for recommending some of these products. That said, I have negotiated discounts for my readers when possible and you will never pay more than you would by going to the websites themselves. Most websites are WordPress blogs at this point! Here are some of the things that you will need to get yours going. I KNOW, there are a million free themes out there, but if you are trying to make your life easier use a Genesis theme with a fancy addon. Genesis makes your site act like Microsoft Word so even non-techy people can do things without hiring a programmer! The very first thing you should do after you get your website set up is put a newsletter signup form on there. I have tried a bunch of different ones over the years and use ConvertKit now (I am so freaking happy!) They are not the cheapest or most expensive, but it really does make a different to have a paid version if you are serious about marketing. If you really, really need free, go with MailChimp and move over later! Elementor – Makes super fancy pages! Great if you want to customize your own pages. Milotree – The EASIEST WordPress Popup Plugin ever and it is super affordable! So awesome. Of course I recommend using my Blogging Planner to keep you organized! Traffic Transformation Ebook – 21 Strategies I Used to Increase My Monthly Page Views from 17k to 400k+ in 10 Months… I found this super helpful when I was trying to get more traffic to my website! This is just a fancy way of saying what you use to send your newsletters and autoresponders out! I recommend ConvertKit (it’s what I use) because it is easy and if you have over 5K subscribers they will move you from your old service for free… what?!?! If you have to have free, then Mailchimp would be okay to start with until you get a little further along. Video marketing can be fun when you think about it as a way to help your people learn how to do something! Tube Buddy– Amazing Youtube program for finding tags for your videos and figuring out what to make videos of. Lumen5 – A super cool way to make free videos from your blog posts. Video Creator Form – Planner worksheet to plan and track your video creation calendar and recordings. Easy to use and helpful for YouTube and video creators. Understanding affiliate marketing can be hard! It is about more than just throwing up some links and raking in the cash! The first step is to join an affiliate program. This can be a single product that you love or a program that has lots of different products or services that you can recommend. Share A Sale. Share A Sale is great because they have a wide range of programs and having all your sales and banners and reports in one place makes things super easy! Amazon Affiliate Program. I feel like everyone knows about the Amazon Affiliate Program by now, but it is a great way to make a little bit of money for recommending products people can buy on Amazon. I don’t feel like this would be my first stop as they don’t have great commissions and they do not really support their affiliates that much, but it is easy to find and include their links! Traffic and Monetization Mini Challenge – Five days of simple tasks to increase your traffic & income! The Best Product Photography Courses – These are the top photography courses that I recommend! I am obsessed with the fact that taking better pictures makes things sell better! Marmalead – My all time favorite Etsy SEO tool for handmade, vintage, digital and supplies. Free Course – Product Line Formula… great for Handmade sellers! Etsy Seller Planner – Using this planner will help streamline your systems and (as one gal put it) make sure that important things don’t get lost in your “bermuda desk”! FREE Vintage Sellers Ebook – A guide to getting your vintage Etsy store up & selling! Real Estate Business Planner. Get your time under control and your business more profitable! Marketing For Authors. Check out all my Author resources in one place including the tools and resources that I use daily. KindleSpy Pro. How to research keywords, categories and tags for your Amazon book listings. KDRoi. How to submit your books to free promotion sites. I have used his software before and it is generally awesome! Author Marketing Club. 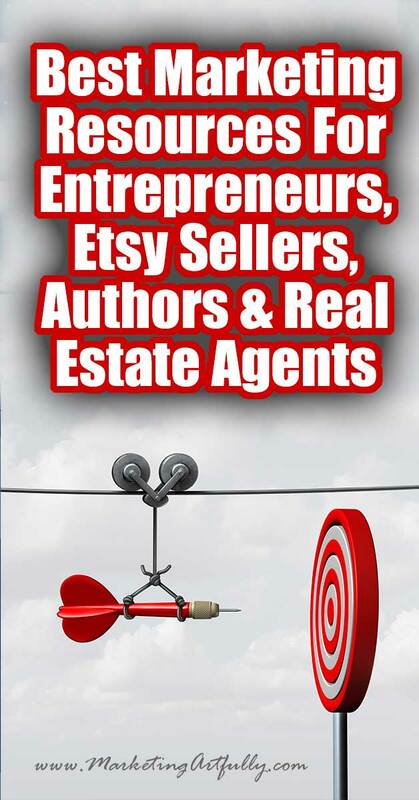 Put out by Jim Kukral, this is a great resource for authors. The free Sell More Books With Awesome Amazon Descriptions guide is the best. Keyword Hero – Put keywords back into your Google analytics! Tailwind. Awesome for scheduling Pinterest posts! An approved Pinterest partner. Buffer. I use the business Buffer to schedule social media posts for our clients. Great tool! Interact Quiz Maker. I used this to make a quiz about marketing on my website! It was SO easy to use and I got some great data from the people who took the quiz! Direct Sales Planner. Direct Sales Business Planner for Network Marketing, Party Plan and MLMs. BoxShot King. Here is how I make all the snazzy 3D book cover and web example graphics. Canva. The paid version of this tool is AMAZING (and like $10 a month). Make sure you check out the magic resize tool! StickerMule. I have super fun stickers for sale that feature the “Bee Brave” bee and more! Square Payroll – I use this to pay myself and remit my unemployment taxes. Pretty easy to set up and now it just works! As with most of what is so very popular on my website, this list started out just for me to remember the products that I recommend so that when I answer a marketing question in my email, I had a handy-dandy link to share. Well it has turned into much more than that, it is now a go-to page where I can tell you about new amazing things that I find and which I think could help your business!